Self-Enrollment Groups allow students to use a sign-up sheet in order to join a Group themselves. 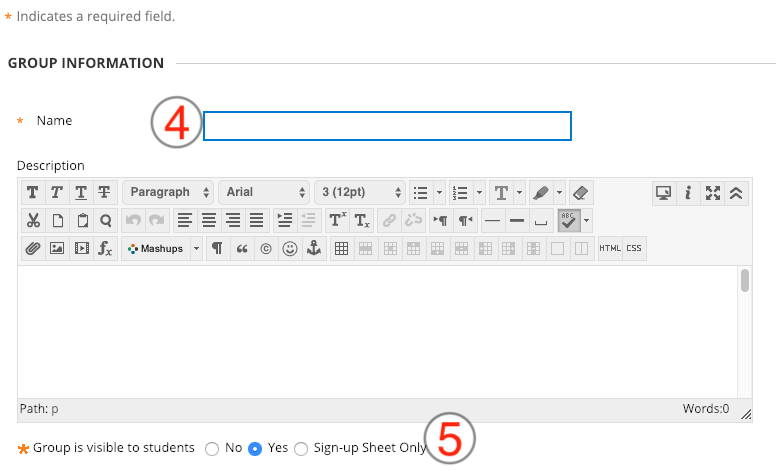 You can make sign-up sheets available to students on the Groups Page or by adding a link to a Content Area. On the Control Panel Menu, under Users and Groups, select Groups. On the Groups page, click Create on the Action Bar to access the drop-down list. On the Create Self-Enrollment Group page, enter a Name and optional Description. Select the tools you want the group to use. Select the checkbox for Module Personalization Setting to allow students to add personal modules to the Group Homepages and/or reorder. From the Sign-Up options area, enter a sign-up sheet name and instructions. Then enter the Maximum Number of Members, and select other Member options. The table below explains the options for Self-Enrollment Groups and Sign-up Sheets. No – sign-up sheet is unavailable; the Group is unavailable. Yes – sign-up sheet is available; the Group is available immediately after a student signs up. Sign-up Sheet Only – sign-up sheet is available; the Group is unavailable even after a student signs up. 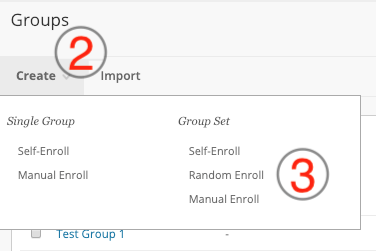 To make the Group available to students who have self-enrolled, an instructor must edit the Group to change its availability. Name of Sign-up Sheet Use a descriptive name so users will understand the nature of the Sign-up Sheet. Instructions This field is optional, and can provide information in addition to the Group description. Maximum Number of Members Let students know how many are allowed to join. Once this number has been reached, other users may not join the Group. Show Members Allow users to see existing members before they sign up. 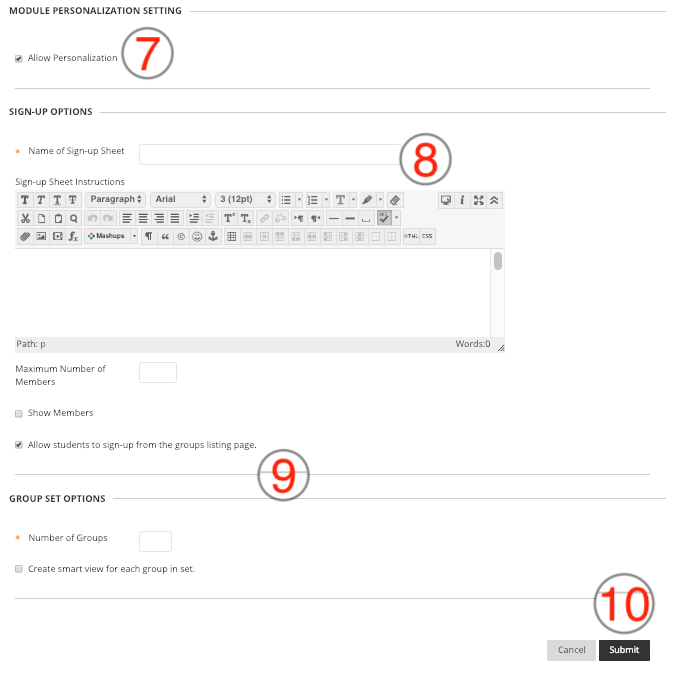 Allow Students to sign-up from the Groups Area This option automatically adds the sign-up sheet to the Groups Page. If you use this option, be sure a Groups link is available in the Course Menu or in a Content Area to provide student access. If this option is not selected, the sign-up sheet is unavailable to students until the instructor adds a link to the sign-up sheet.